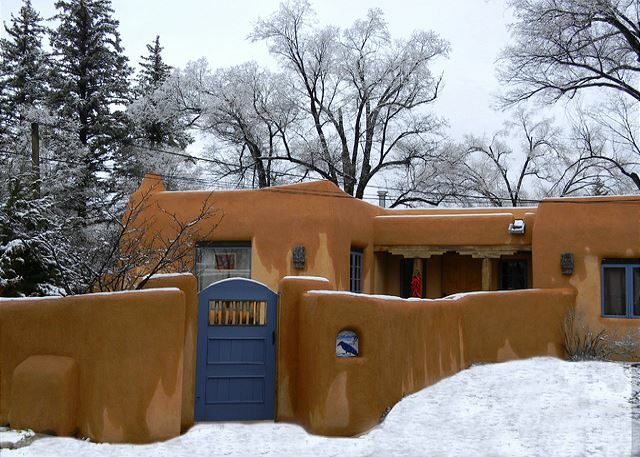 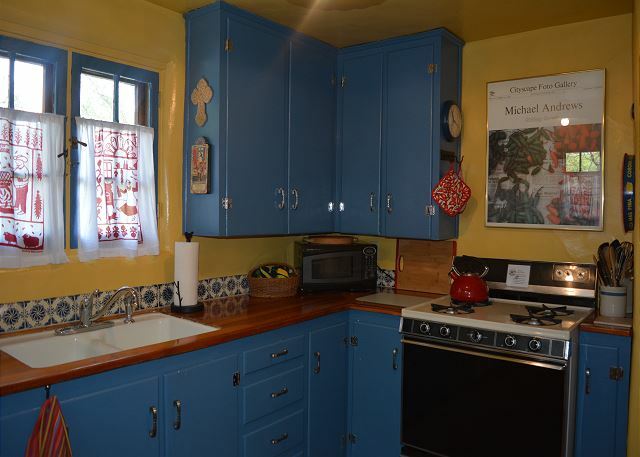 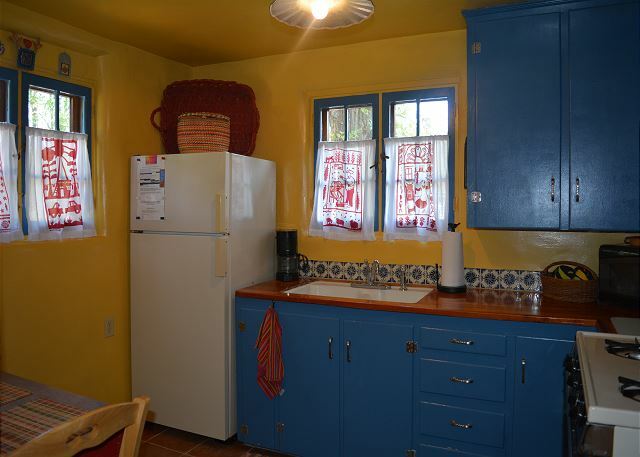 Taos Casa Azul is located in the historic "Silk Stocking" area of the Town of Taos and is a charming Casita offering a taste of what historic "Adobe" architecture feels like. 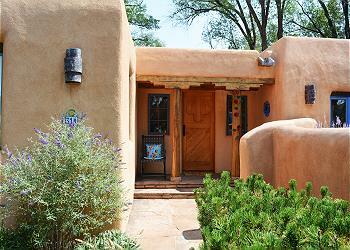 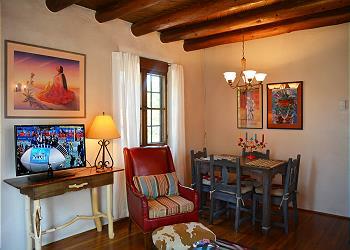 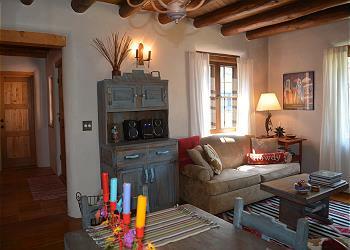 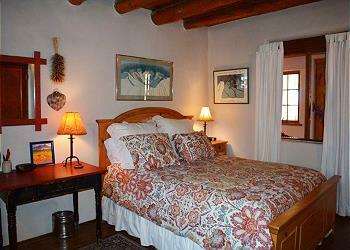 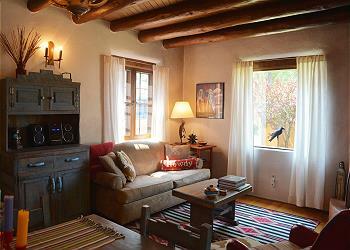 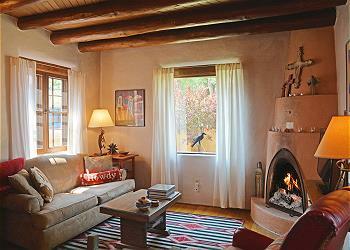 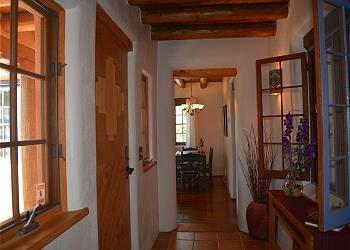 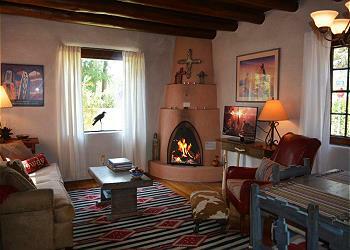 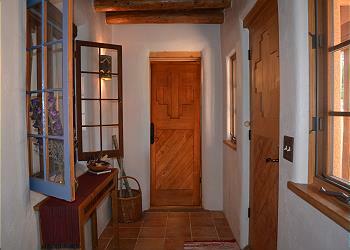 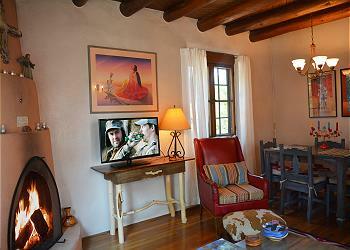 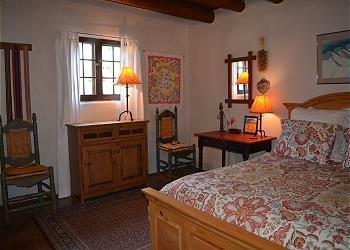 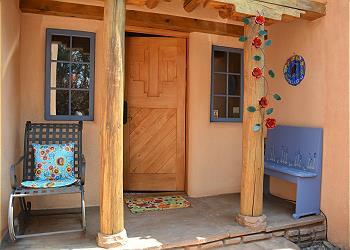 A truly authentic "restored adobe", this special Taos retreat has charmed many guests throughout the years. An adobe privacy wall protecting the tastefully landscaped yard offers guests a sense of seclusion while being in the heart of town. Built in the early Spanish tradition where by parents added a "casita (Spanish for little house or cabin) onto an existing exterior wall for their newly married son or daughter. 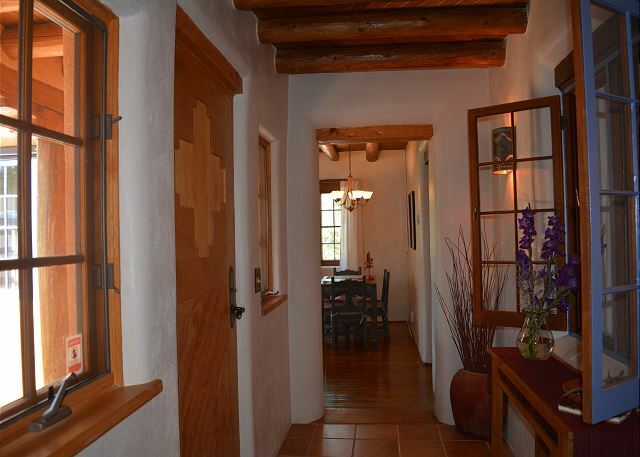 With the adobe walls being anywhere from 8 to 14 inches thick, there is absolutely no transfer of sound between the casitas. 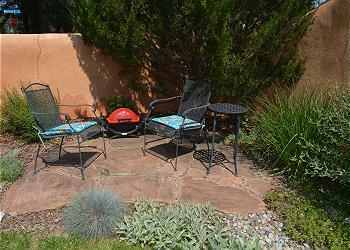 The private back yard patio is a great place to relax, read a book or just enjoy the New Mexico fresh air. 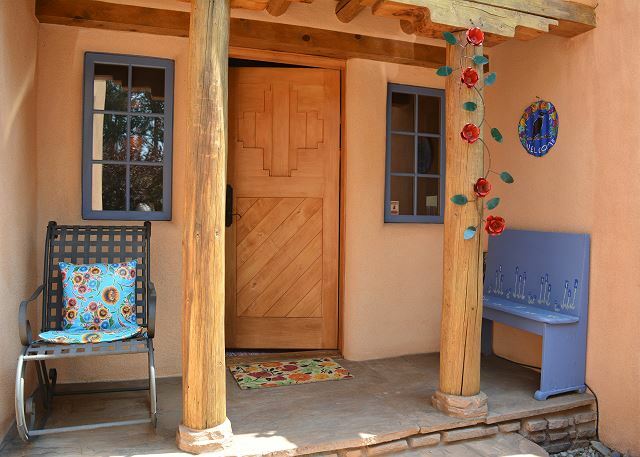 An easy walk to town and Taos plaza make this lovely casita well located for the guest who chooses to experience what adobe living is like in the enchanting southwest Town of Taos, NM. 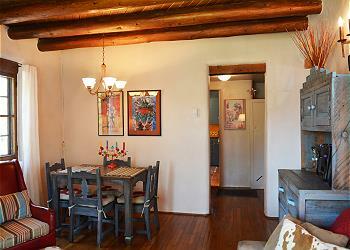 Casa Azul may be rented as a 1 or 2 bedroom home to only one party / group. 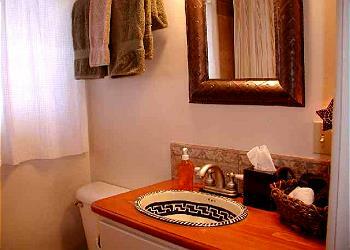 When rented as a 1 bedroom the unused bedroom will be locked off and not used by anyone else. When opting for one bedroom only be sure to inform Premiere of your choice "A or B".